Here we summarises the results of experimental inve- stigation of changes in intracellular calcium homeo- stasis in sensory neurones of rats with streptozotocin - induced diabetes mellitus. Decrease in the calcium- accumulating function of both inositol-trisphospha- te- as well as caffeine-sensitive endoplasmic reticulum has been detected both in primary sensory neurones of dorsal root ganglia and in secondary neurones of the spinal cord dorsal horn. Predominant depression in the functioning of metabotropic receptors of li- gand-gated channels compared with those of iono- tropic ones has been demonstrated. Changes in the pharmacological sensitivity of potential-operated cal- cium channels (predominantly of L-type), linked, probably, with alterations of functional connections between membrane channels and endoplasmic reti- culum, are described. A predominant role of changes in the functioning of intracellular Ca2+-accumulating structures, leading to prolongation of depolarisation- induced Ca2+ transients in primary and secondary sensory neurones and corresponding changes in the transmission of nociceptive signals during diabetic neuropathy are discussed. Ahluwalia J., Urban L., Capogna M. et al. Canna- binoid 1 receptors are expressed in nociceptive primary sensory neurons / / Neuroscience. - 2000. - 100, N 4. - P. 685-688. Bowersox S.S., Gadbois T., Singh T. et al . Selec- tive N-type neuronal voltage-sensitive calcium channel blocker, SNX-111, produces spinal anti- nociception in rat models of acute, persistent and neuropathic pain / / J. Neurophysiol. - 1998. - 80, N 3. - P. 1236-1244. Chavis P., Fagni L., Lansman J.B. et al. Functional coupling between ryanodine receptors and L-type calcium channels in neurons / / Nature. - 1996. - 382, N 6593. - P. 719-722. Di Giulio A.M., Lesma E., Gorio A. Diabetic neuro- pathy in the rat: 1. Alcar augments the reducedlevels and axoplasmic transport of substance P / / J Neurosci Res. - 1995. - 40, N 3. - P. 414-419. Ding Y., Cesare P., Drew L. et al. ATP, P2X receptors and pain pathways / / J Auton Nerv Syst. - 2000. - 81, N 1-3. - P. 289-294. Fagni L., Chavis P., Ango F. et al. Complex interactions between mGluRs, intracellular Ca2+ stores and ion channels in neurons / / Trends Neurosci. - 2000. - 23, N 2. - P. 80-88. Green D.A., Stevens M.J. Interaction of metabolic and vascular factors in the pathogenesis of diabetic neuropathy. In: Diabetic Neuropathy, new concept and insights. - Amsterdam-Lausanne-New-York- Oxford-Shannon-Tokyo, 1995. Grynkiewicz G., Poenie M., Tsien R.Y. A new generation of Ca2+ indicators with greatly improved fluorescence properties / / J. Biol. Chem. - 1985. - 260, N 6. - P. 3440-3450. 9. Hall K.E., Sima A.A., Wiley J.W. Voltage-de- pendent calcium currents are enhanced in dorsal root ganglion neurones from the Bio Bred/Wor- chester diabetic rat / / J. Physiol (Lond). - 1995. - 486, N Pt 2. - P. 313-322. 10. 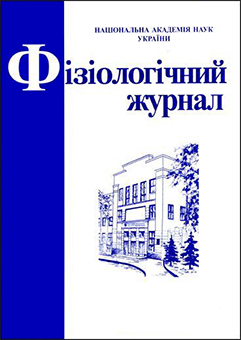 Kostyuk E., Svichar N., Shishkin V. et al. Role of mitochondrial dysfunction in calcium signalling alterations in dorsal root ganglion neurons of mice with experimentally-induced diabetes / / Neuro- science. - 1999. - 90, N 2. - P. 535-541. Melamed-Book N., Rahamimoff R. The revival of the role of the mitochondrion in regulation of transmitter release / / J. Physiol. - 1998. - 509 ( Pt 1), P. 2. Stanton P.K., Schanne F.A. Hippocampal long- nterm potentiation increases mitochondrial calcium pump activity in rat / / Brain. Res. - 1986. - 382, N 1. - P. 185-188. Svichar N., Shishkin V., Kostyuk E. et al. Chan- ges in mitochondrial Ca2+ homeostasis in primary sensory neurons of diabetic mice / / Neuroreport. - 1998. - 9, N 6. - P. 1121-1125. Szalai G., Krishnamurthy R., Hajnoczky G. Apop- tosis driven by IP(3)-linked mitochondrial cal- cium signals / / EMBO J. - 1999. - 18, N 22. - nP. 6349-6361. 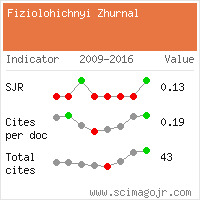 Usachev Y., Shmigol A., Pronchuk N. et al. Caffeine-induced calcium release from internal sto- res in cultured rat sensory neurons / / Neuro- science. - 1993. - 57, N 3. - P. 845-859. Voitenko N.V., Kostyuk E.P., Kruglikov I.A. et al. Changes in calcium signalling in dorsal horn neurons in rats with streptozotocin-induced dia- betes / / Ibid. - 1999. - 94, N 3. - P. 887-890. Voitenko N.V., Kruglikov I.A., Kostyuk E.P. et І. А. Кругликов та ін. al. Effect of streptozotocin-induced diabetes on the activity of calcium channels in rat dorsal horn neurons / / Ibid. - 2000. - 95, N 2. - P. 519-524. 19. Werth J.L., Thayer S.A. Mitochondria buffer physiological calcium loads in cultured rat dorsal root ganglion neurons / / J. Neurosci. - 1994. - 14, N 1. - P. 348-356. 20. Werth J.L., Usachev Y.M., Thayer S.A. Modu- lation of calcium efflux from cultured rat dorsal root ganglion neurons / / Ibid. - 1996. - 16, N 3. - P. 1008-1015. Yagihashi S., Kamijo M., Baba M. et al. Effect of aminoguanidine on functional and structural abnormalities in peripheral nerve of STZ-induced diabetic rats / / Diabetes. - 1992. - 41, N 1. - P. 47-52. Yu J.Z., Quamme G.A., McNeill J.H. Altered [Ca2+]i mobilization in diabetic cardiomyocytes: responses to caffeine, KCl, ouabain, and ATP / / Diabetes Res Clin Pract. - 1995. - 30, N 1. - P. 9-20.